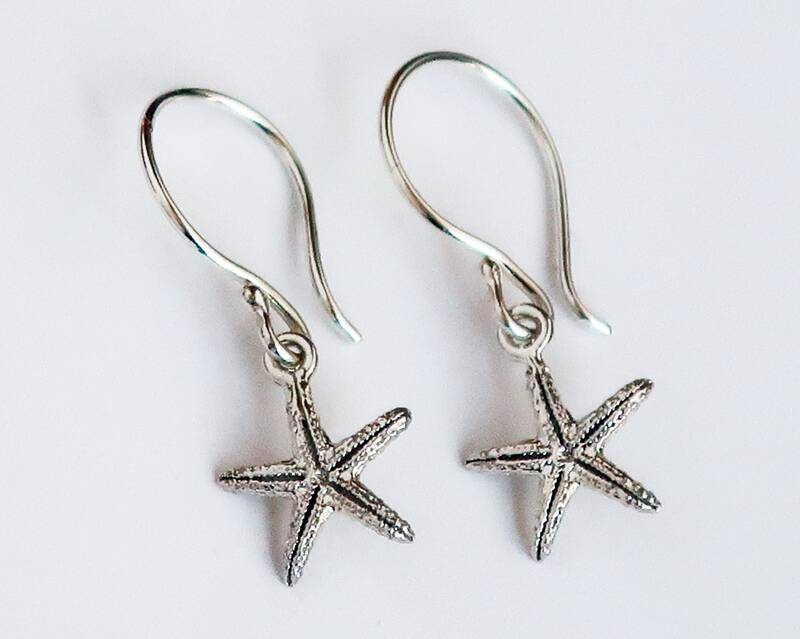 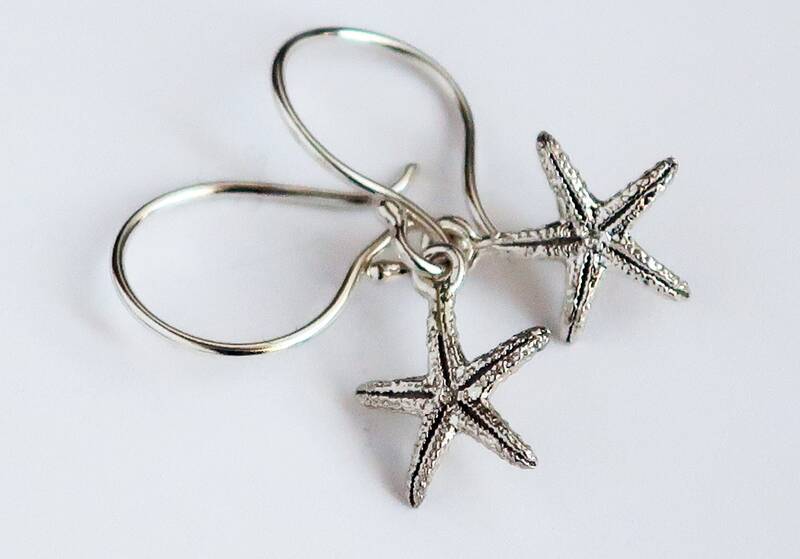 Cast from actual little Starfish, these sweet dangly earrings are great for all occasions! 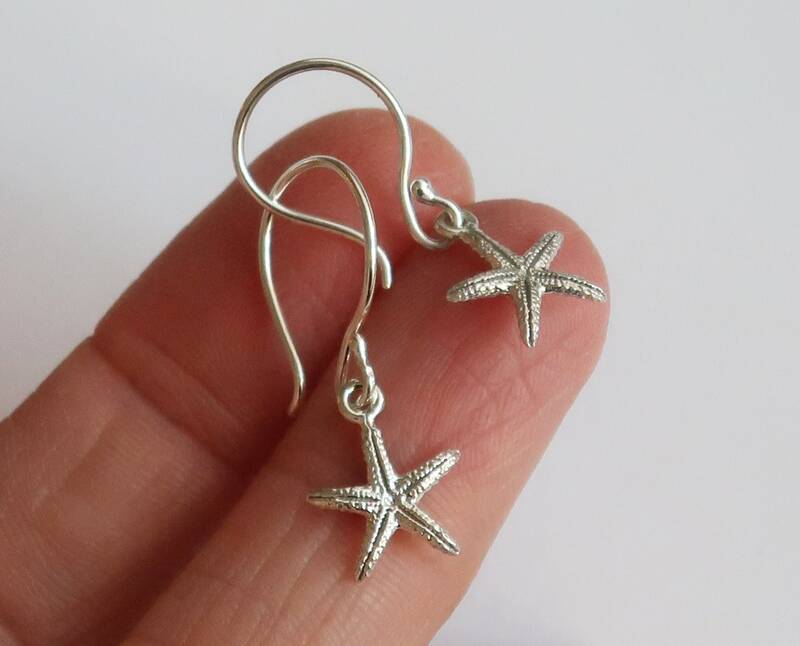 Cast in solid Sterling Silver w/Sterling Silver handmade ear wires. 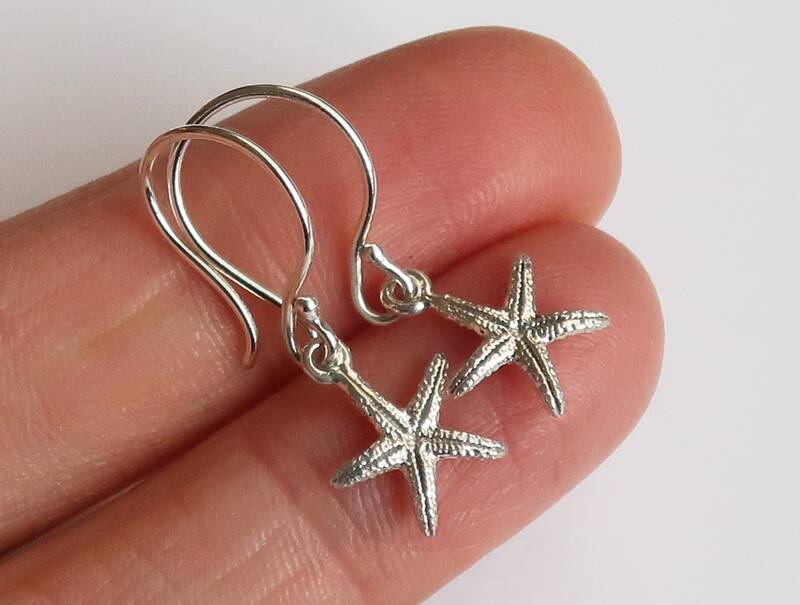 Starfish measure approx.8.5 x 9.5 mm. 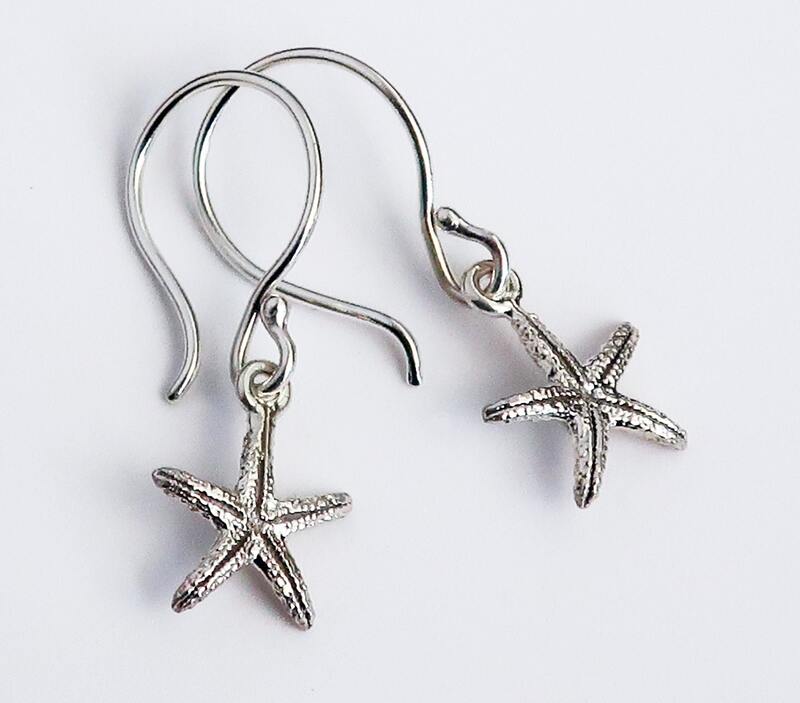 A symbol of Infinite Divine Love the Starfish also represents, regeneration, brilliance, intuition, and salvation in troubled times. 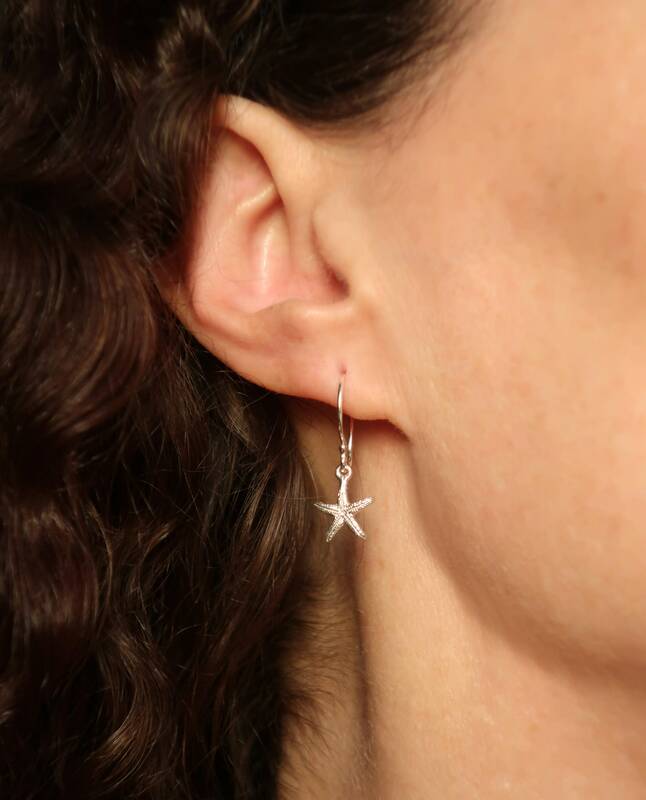 It is a beautiful emblem of love and endurance. 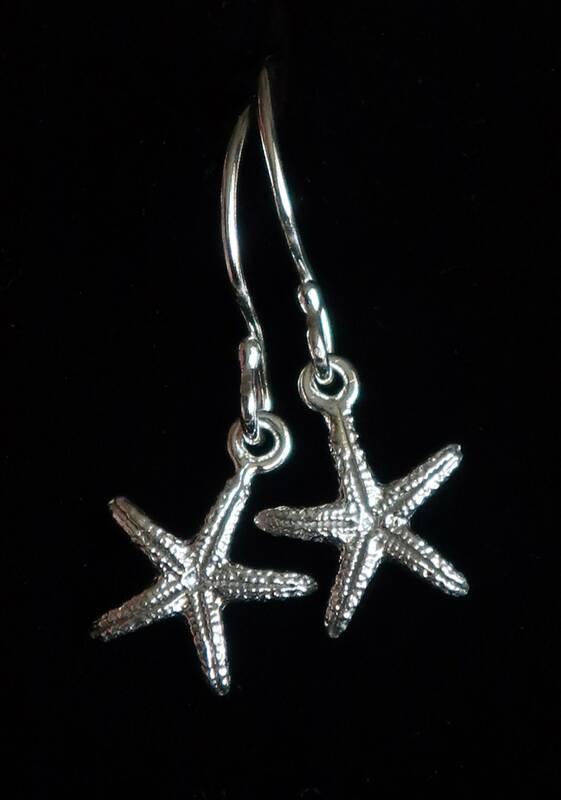 Listing price is for 1 pair of earrings.